Summertime holidays are super cool! We are ready to BBQ, swim, squint at the sunshine, and watch fireworks in the dark air. 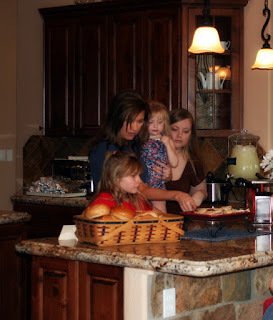 We celebrated with family and friends, a little baker's dozen of people, at my parent's home. 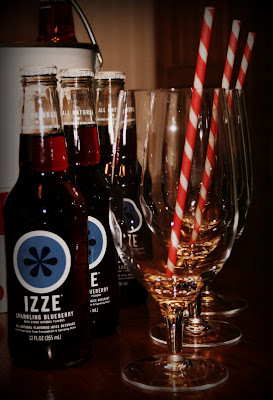 No event is complete without my all time favorite (besides coke)...IZZE! Sparkling Blueberry was the perfect choice for the 4th. 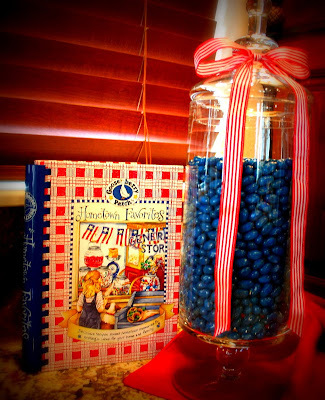 I wanted to add some country charm to the festivities mixed with a little retro love. Colors of course were the RED, WHITE, and BLUE. Fresh flowers are a favorite! 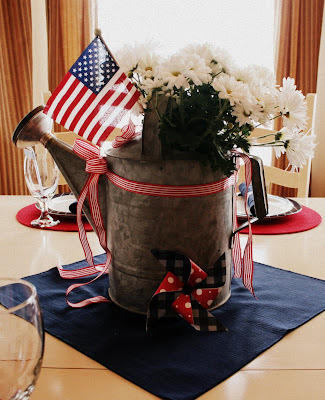 To maintain the retro country look I desired, I used an antique watering pail for the centerpiece. 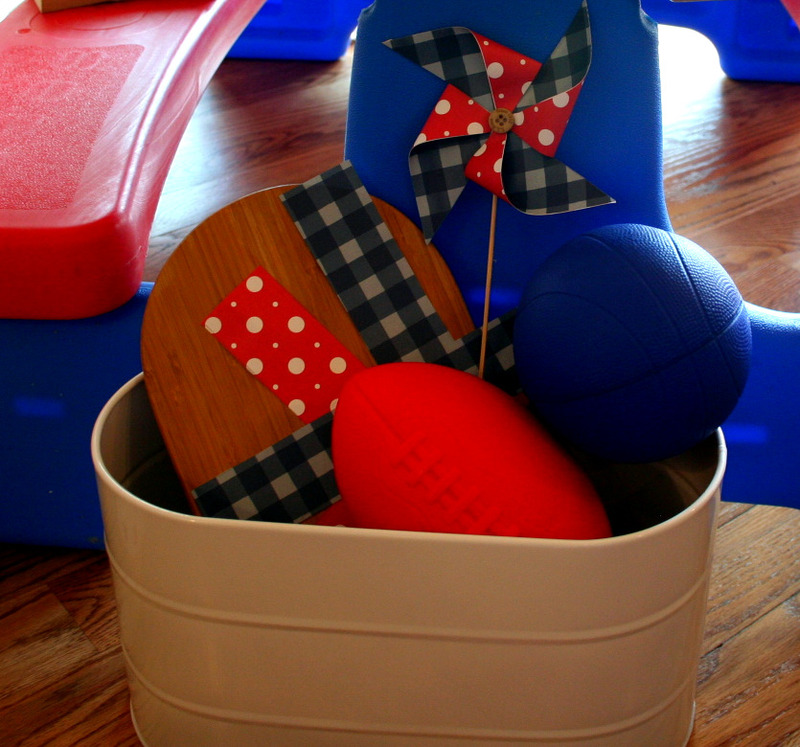 The pinwheels the boys and I made last week were scattered throughout the decor too. 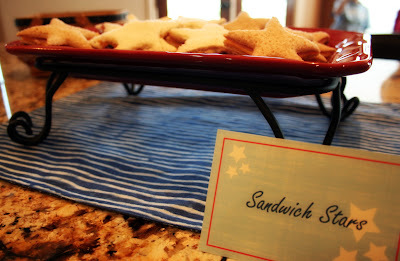 For the napkins, I did a simple roll and cut out festive paper strips to secure around the middle. 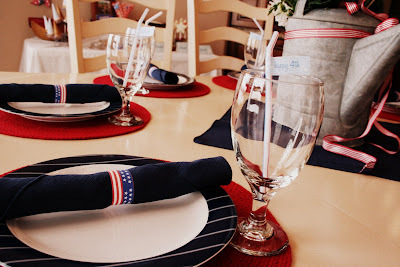 I used paper flag printables around the straws for a splash of fun. These stars and stripes paper plates were adorable! 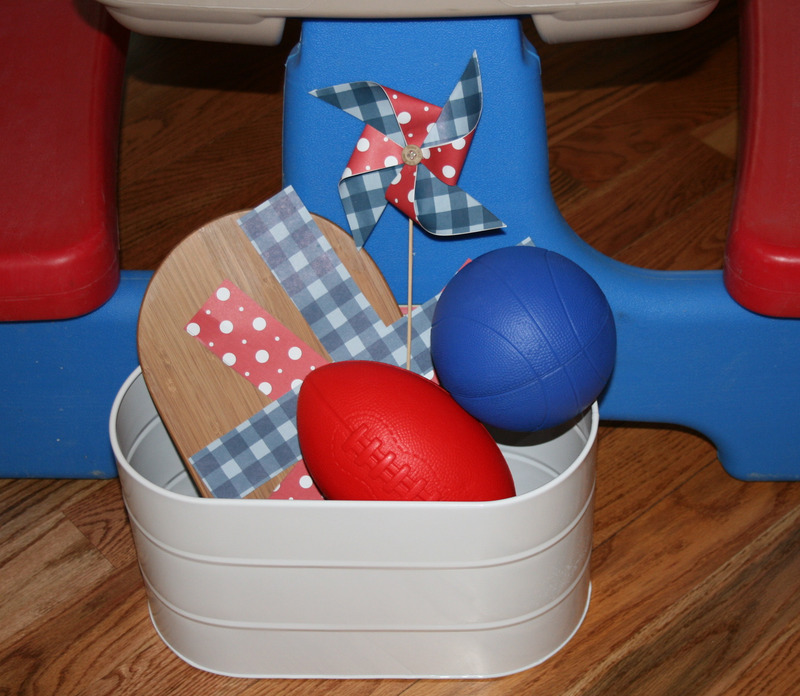 I prefer to use plastic or papergoods for children tables. It's always good to pause for a moment and try to see how a holiday looks through little eyes. Kids get so excited to find little special treats just for them! 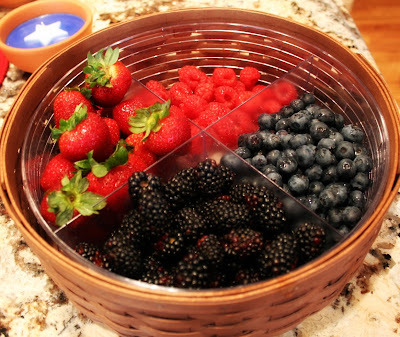 Because of this, I made treat pails for each plate. Every child got a flag (compliments of my mom). I filled it with candy, etc. The pail also served as a napkin and utensil holder. Another thing that kids delight in is discovering their name! It's a great big world, and the children often get lost in the buzz of adults. The silent recognition of seeing their name assigned to a little spot makes them feel special! Personalization is one of my FAVORITE things! I made name tags using star marshmallows on a kabob stick. 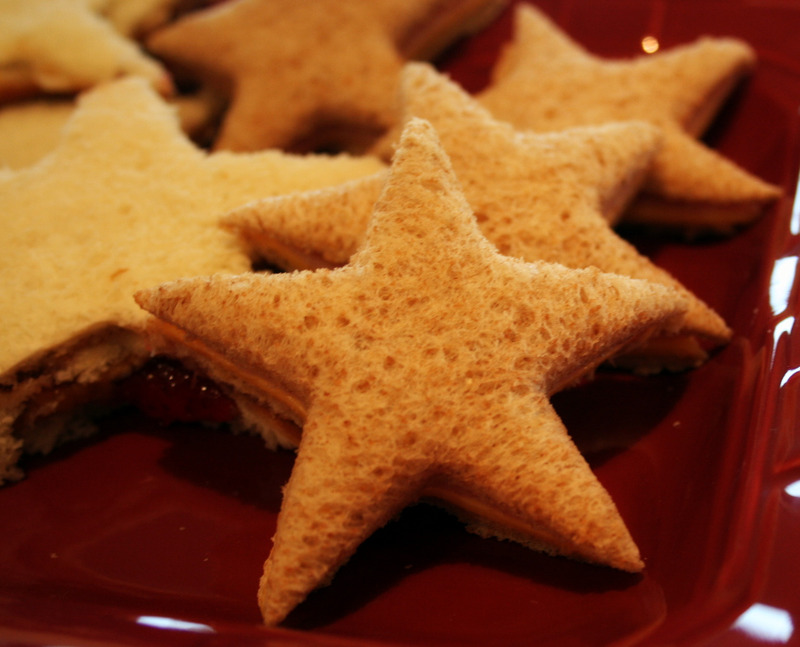 Use a cookie cutter to make fun sandwich shapes for kids. This is an easy way to add a special touch. I make this Red, White, and Blue Potato salad every year for the 4th. It is made with red potatoes and blue cheese. 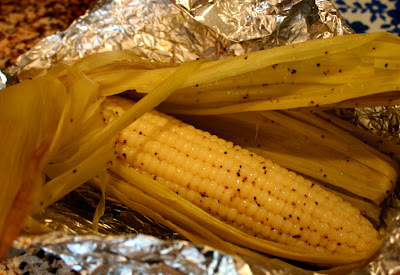 My mom made delicious BBQ Butter corn on the cob. Look at this adorable decor my Mom had! The candy jar matched the one on the cookbook cover. How cute is that? We were able to take only a Quick Dip in the pool between a break in the unfortunate weather. 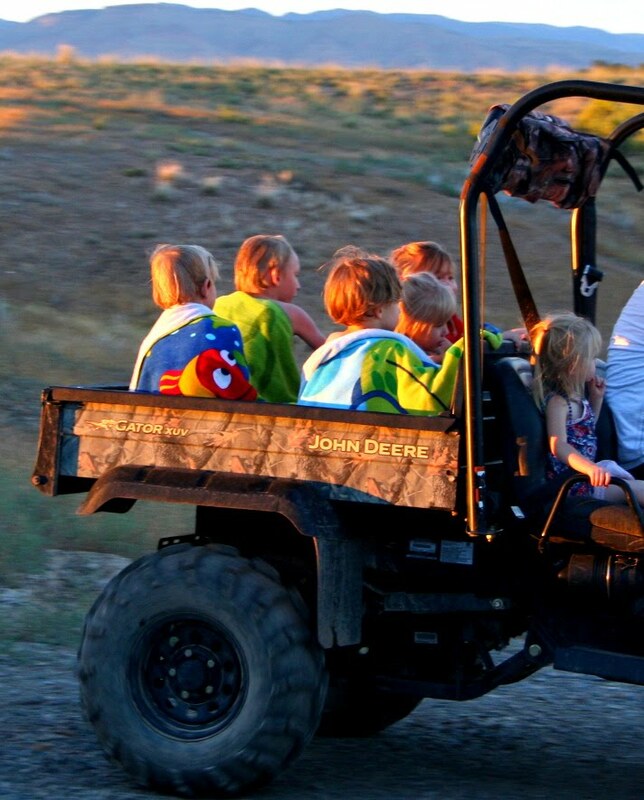 And Uncle Kyle gave the kids a ride in the Gator afterward. We ended the night with the obvious: fireworks! This is the first year Chris let the boys help with the fireworks. They were in seventh heaven. 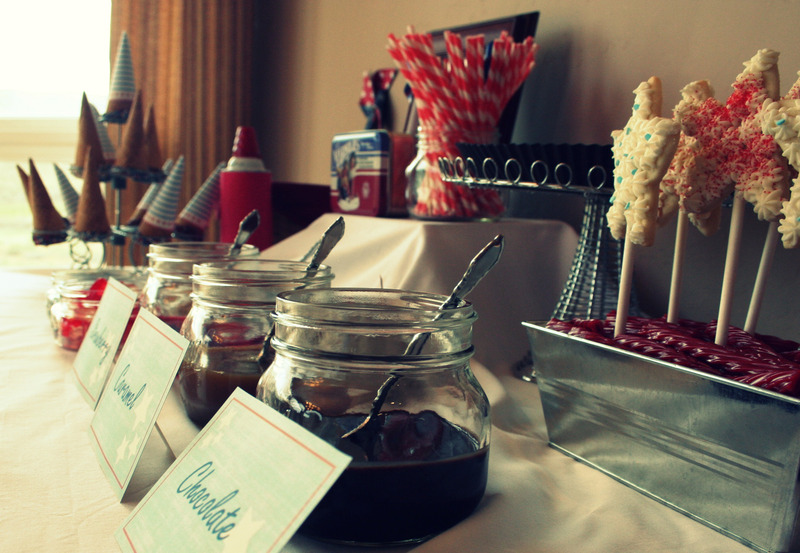 My favorite part of the evening was the Retro Ice Cream Sundae bar! A few days before the 4th, I told the boys that I had a special surprise coming to THEM on 4th of July. 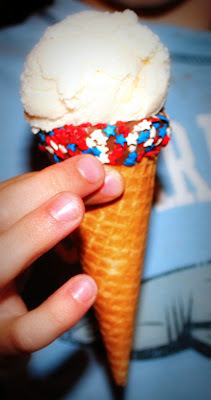 I told them that the ice cream shop would be come to us....and it did! 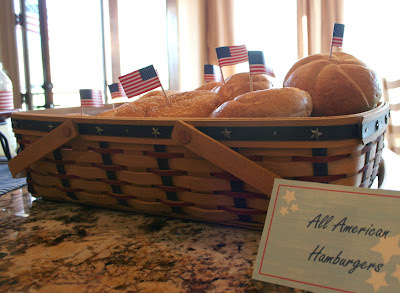 Nothing beats an All American Holiday. What a beautiful day it would have been for you and your family. The thought and love that has gone into planning this special day for all is stupendous. The baby BLTs.... Can I request more of those? 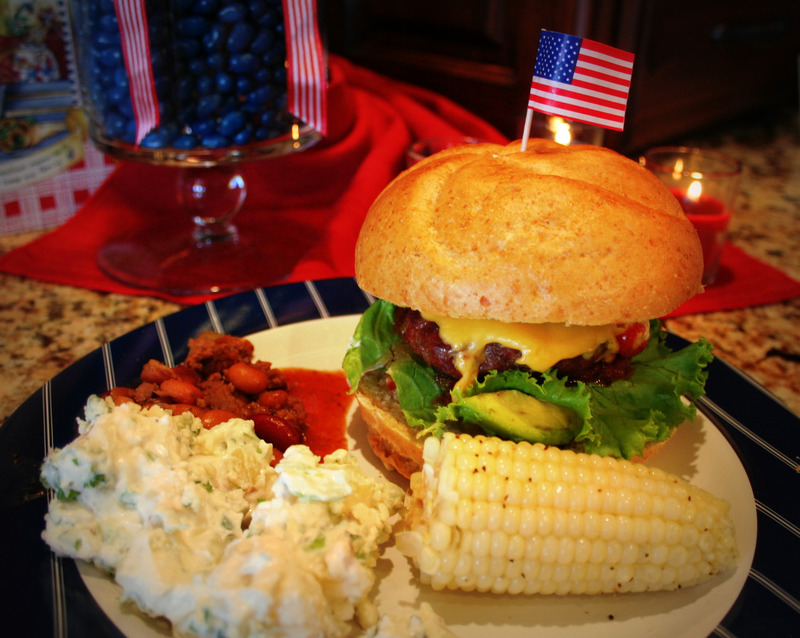 And the seasoned burgers too! 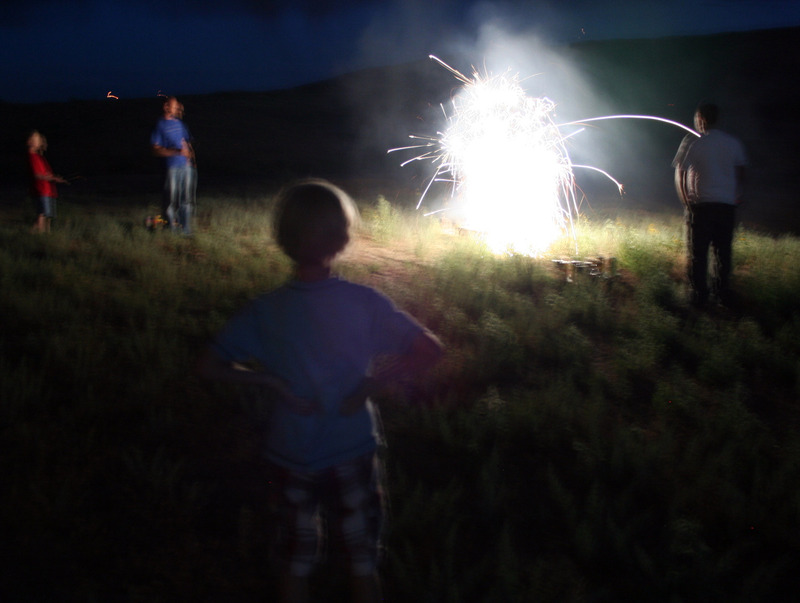 This was my favorite 4th ever. And it's one our boys won't soon forget either. Sista, Martha has nothing on you. 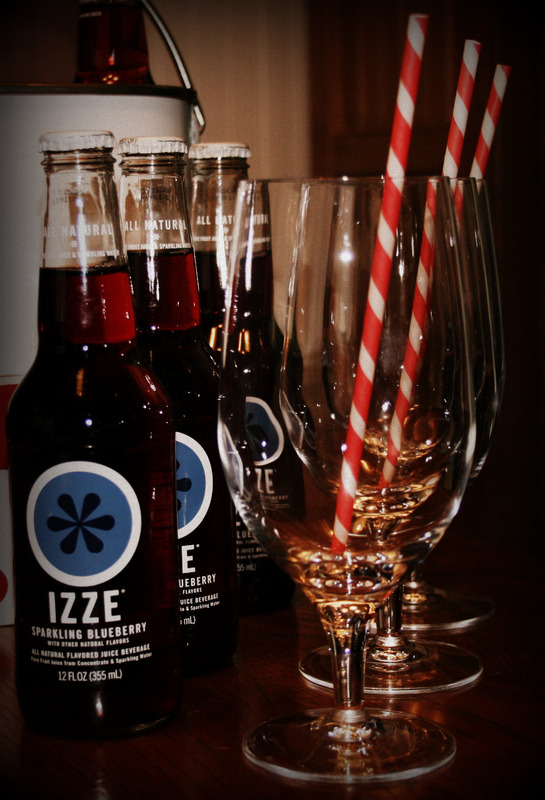 Your little soiree is incredible. Will you be my new bff? Seriously, you need your own homestyle show on tv! Now that is a fabulous 4th of July party. You went above and beyond it all looks fabulous. Looks like so much fun. 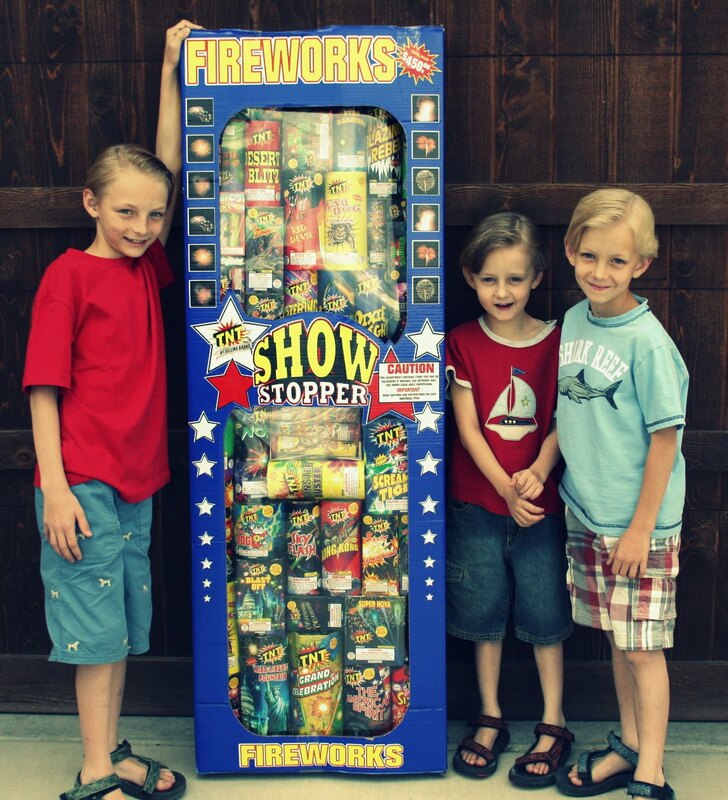 The looks on your boys' faces as they stand proudly by the box of fireworks is priceless. 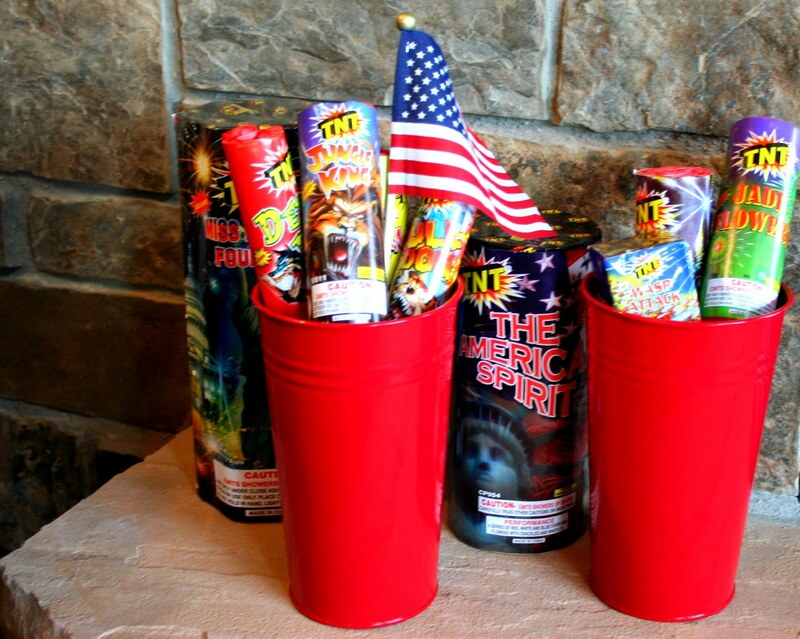 What is it with male species and fireworks? I cannot wait to see the ice cream sundae bar photos. 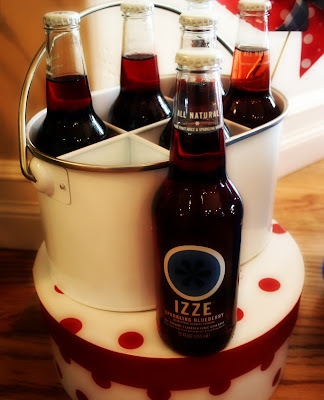 The kids' treat pails were such a great idea. What a fun party. Thanks for sharing your ideas. Holy Moly you are far more talented than Martha Stewart! What a beautiful post of what I'm sure was a fantabulous day!! 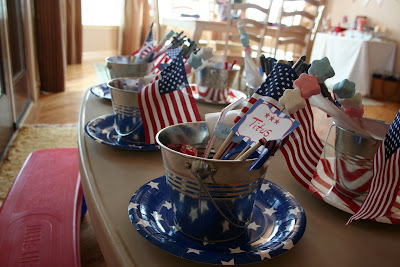 Lisa, your party looked fabulous, I love all your patriotic pics! Thanks for stopping by & for your very sweet comments. 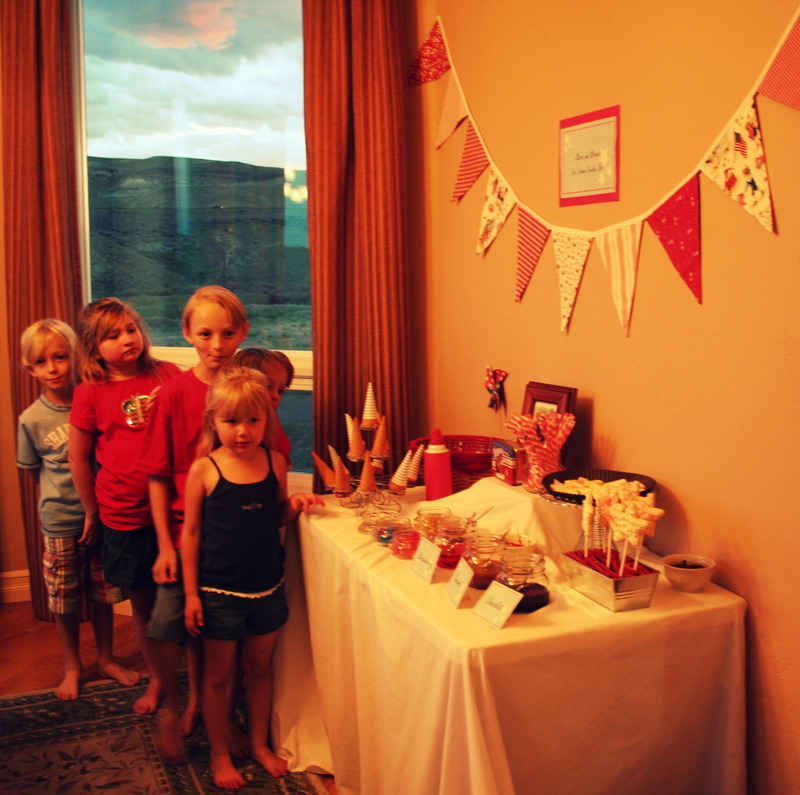 I love all the details you did with your party, so special. I am so going to crash one of your parties one of these days. You make every one feel so special and part of the celebration. 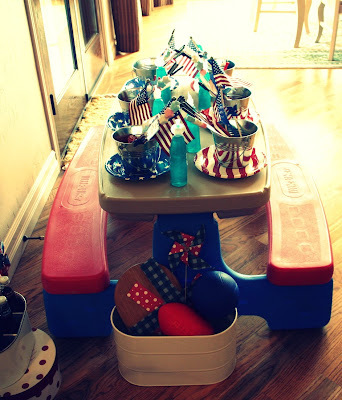 The kids table is adorable. 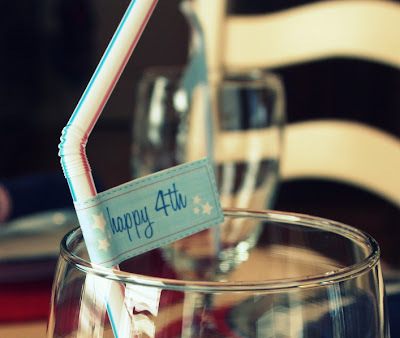 All the printables are so fun and I love the little flags on the straws. 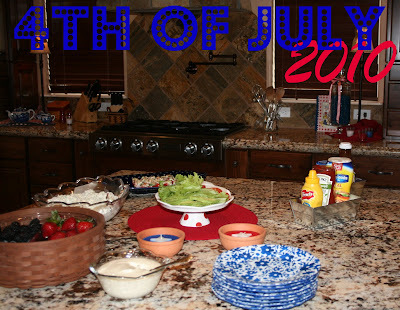 I'm happy you all had a wonderful 4th of July celebration with your family and friends. 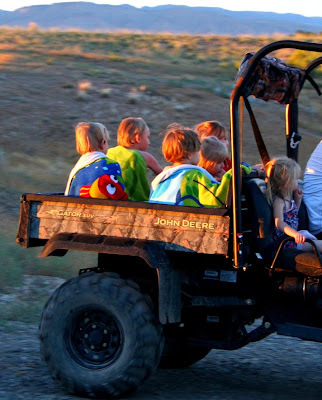 What great memories you made for your family. You added so many cute details that added to the festivities! Hey, cutie! I loved this. You just knocked yourself with the details. I know everyone must have thorughly enjoyed it, Lisa! Oh, what a cute party! Just loved the entire thing from start to finish. ADORABLE! Picture perfect in every little precious detail! I must say again boy do you have an eye for detail. 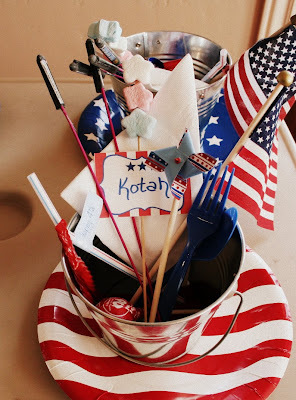 I love the kiddie table with all of the personlized items. The presentation you give is always perfect. The ice cream bar is my favorite. Thanks for sharing. 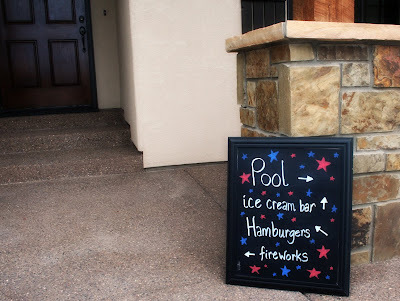 I so want to come to a party at your house! Oh Lisa, what a grand party! 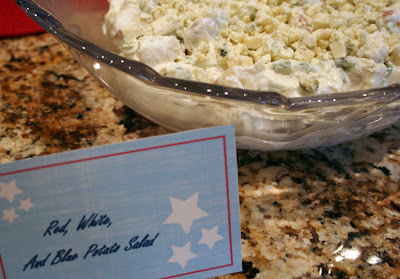 Everything looks so beautiful and that red, white and blue potato salad! I kept looking for a link. You will share the recipe won't you? Adorable! I love the goodie buckets for the kids and the little flags on the burger buns ;). Looking forward to seeing your retro ice cream bar! You did a great job! 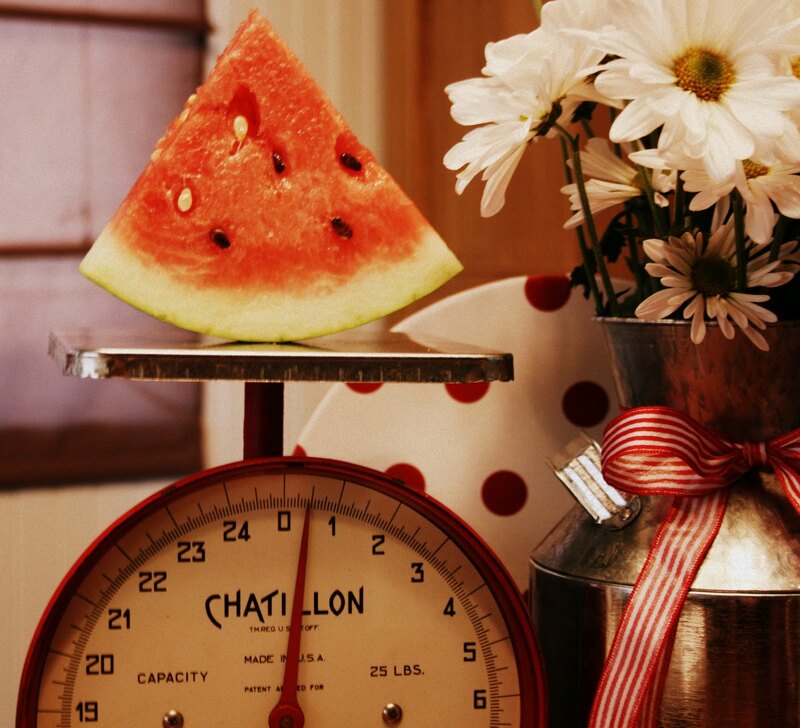 I love the vignette with the kitchen scale, and the little buckets on the kids table! Very nice, it looks like you thought of everything! I'm sure everyone had a great time! SO many lovely details...again! You are quite talented and creative and I love pouring over your creations!! 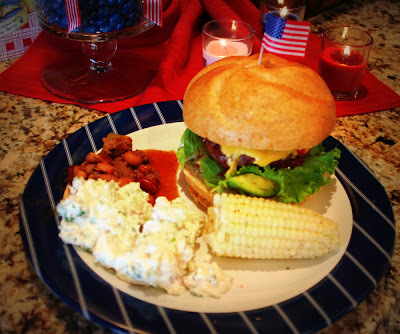 What a beautiful 4th of July celebration!! Wow, you are one talented and creative person! This is awesome! 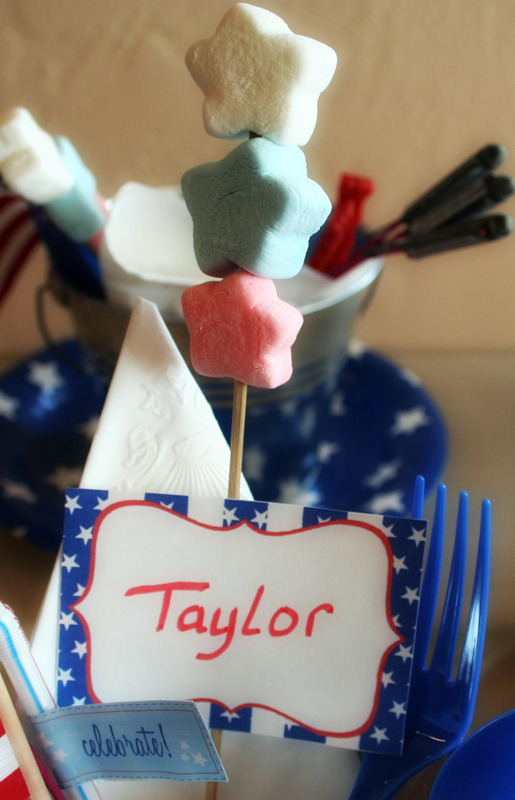 I love the marshmallows on the toothpicks! what a wonderful looking party! You did a lot of work to make a memorable time everyone! Awesome! What details! Looks like a celebration was had indeed, great job! WOW! Lisa you rock! 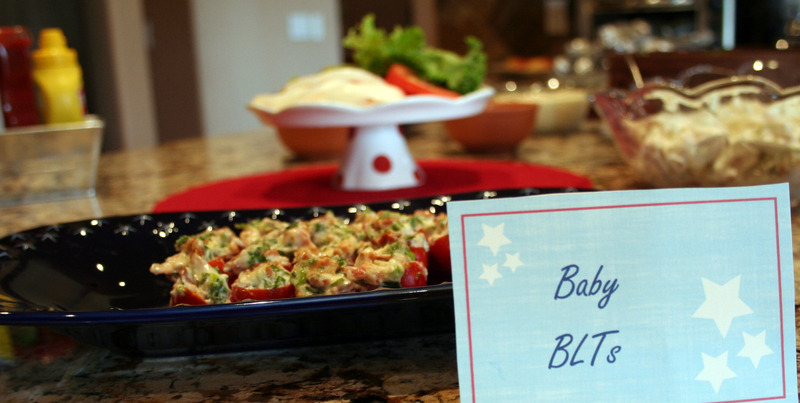 You are a pro at party planning and always create such a fun atmosphere and yummy food. You are truly talented sweet friend. This is FABULOUS!!!! I used to be Myers. All of us are M first names in my family as well. My sister Michele was a triple M. Her middle name is Marie. LOL! Both my sisters married K last names. I love M's! Beautiful holiday tables...especially love the one you did for the kids. You went all out to celebrate! Everything looks so cute and festive! Your attention to details is amazing - I think it's the little things that make a huge difference! What incredible attention to detail! The children's table is especially delightful! You made the event so special! What a great party. I love both tables. So many great ideas. Love the watering can on the main table. Also the tags on the drinking straws. I could go on and on. Thanks for sharing this! I love your attention to detail! Everywhere the eye goes there is a delightful detail to behold. I am sure that everyone felt very special. I have a watering can just like that. I need to get it on the table! Thanks for the inspiration. Those straws are the BEST! you throw such amazing parties. I got your e-mail and I will go through and check all of them in the morning and delete it. 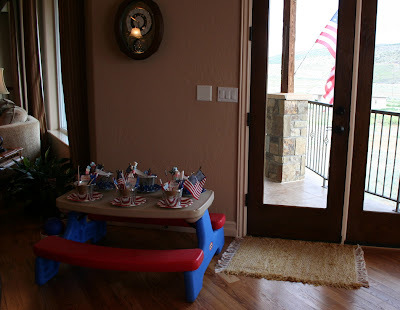 You certainly created a special and memorable 4th for your family and friends! It is all so lovely and festive. You covered all of the little things that say you really care about your guests. I am sure it was a wonderful day. Your party looked like a 'blast'!! I love the kids table. I am borrowing that idea for next year! Bravo!! Wow! You did a lot to make your party festive! 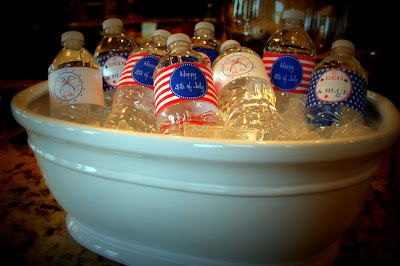 Great ideas (some I will probably borrow) and fun! Thanks for all the ideas. Wow! I love the lables in front of the food items. And all the little details you put into the party. 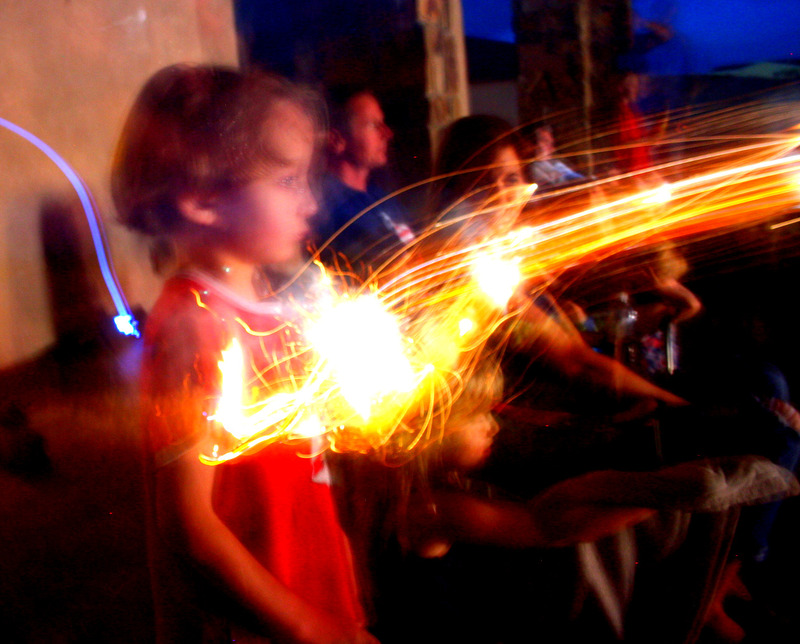 The kids must love to come to a party at your house. Super cute and inspired, as always! Found you on Tickled Pink and so glad I did. I love every little thing about this post from food to decorations. 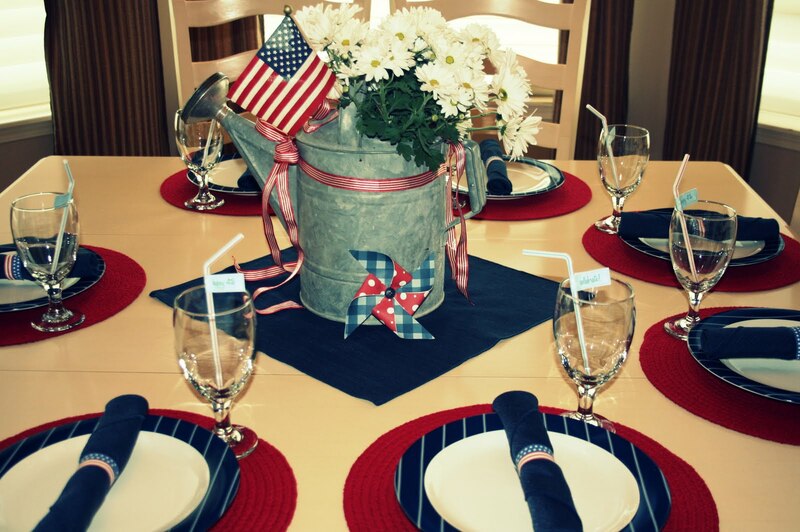 My two favorite things are the centerpiece and those little pails at the kiddie table. So cute! Great job on all of it. Oh my!!! 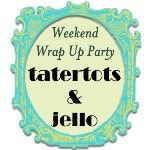 Just found your website through Tatertots and Jello (I think...I have been looking through your blog for so long this morning that I hope I got that right)...anwho, I LOVE IT!!! You rock MY socks!!! I don't do that much work at Christmas!!! Everything was absolutely perfect. Love all the little details! Amazing! I like the little cards that show what is being served and the flags in the buns! You just think of everything! Perhaps write a book? You really are one of the most clever women!! 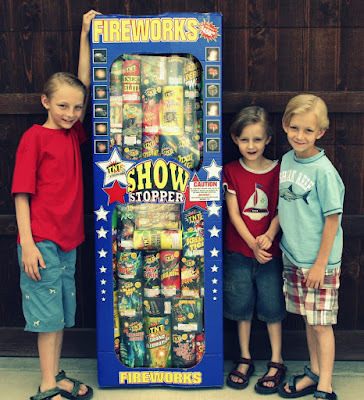 LOL about that big box of fireworks. You can tell the boys are super excited about that one!! I am adding this to my favs list, for tomorrow morning. 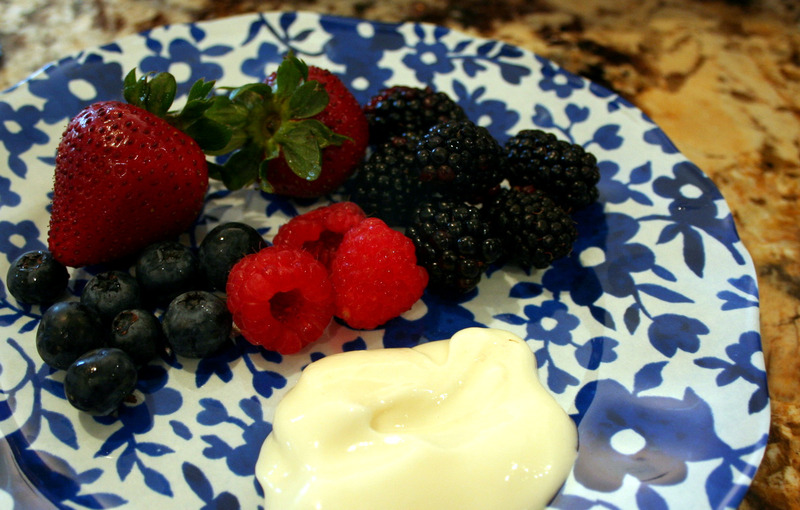 everything loos perfect and delicious!! wish i could come to your parties! I enjoy seeing the photos of your boys ... they are growing! Do they know they have a perfect mom?? 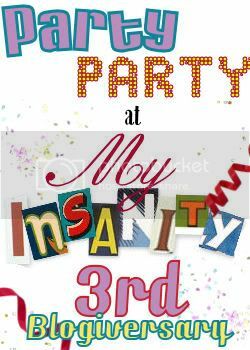 Fantastic party ... fabulous theme! What another fabulous party - I just love your attention to detail! Thanks for linking this up to Be Inspired too! Love the vintage styling, and especially the ice cream bar! So fun!